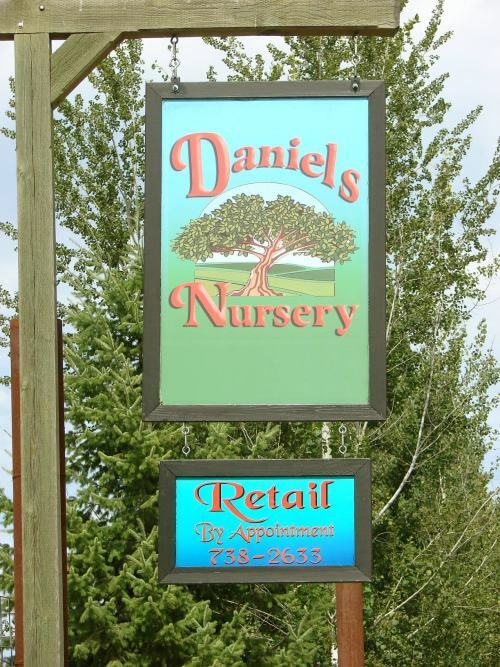 Bordered by the mighty Columbia River, Daniels Nursery is located on Hwy 25 South just 12 miles south of Kettle Falls in Rice, Washington. The farm is 1.5 hours north of Spokane, WA, one hour south of the Canadian border, and a scenic 3-hour drive traveling from Bonners Ferry, Idaho. If using GPS to locate us, please enter the following address, otherwise you will end up at the Canadian border!